Dan Trachtenberg reveals the 5 things that shaped his monster hit. Five years ago Dan Trachtenberg was a podcaster wanting to make it big in the film industry. His Totally Rad Show, a weekly video series he hosted with Alex Albrecht and Jeff Cannata, ran from 2007 to 2012 and ended when Hollywood finally came calling for Trachtenberg. His visual effects-driven short film, Portal, based on the hit video game, became a viral hit in 2011 and suddenly he was hot property. After briefly flirting with a screen version of acclaimed comic book Y: The Last Man, Trachtenberg wound up as JJ Abrams’s protégé and in charge of 10 Cloverfield Lane. The monster film is already raking in big bucks in the US, and as it arrives in the UK today Loaded finds out from Trachtenberg himself the key ingredients to making a Cloverfield movie. Video games as movies have been universally terrible – Street Fighter, Super Mario Bros, the never-ending Resident Evil franchise. Trachtenberg’s Portal short showed a man with an understanding of translating a game to screen, and he’s taken cues from years in front of consoles when it came to 10 Cloverfield Lane. “I’m actually very inspired by video games as much as, if not more so these days, than movies,” he says. “Portal was a first-person game, but I’ve actually looked at third-person games because you’re looking at a character you’re controlling. Those games are so smartly designed, specifically The Last Of Us and Brothers: A Tale Of Two Sons – for that you control one brother with each thumb stick It’s heart-wrenching and emotional. Everything JJ Abrams touches turns to gold at the moment. 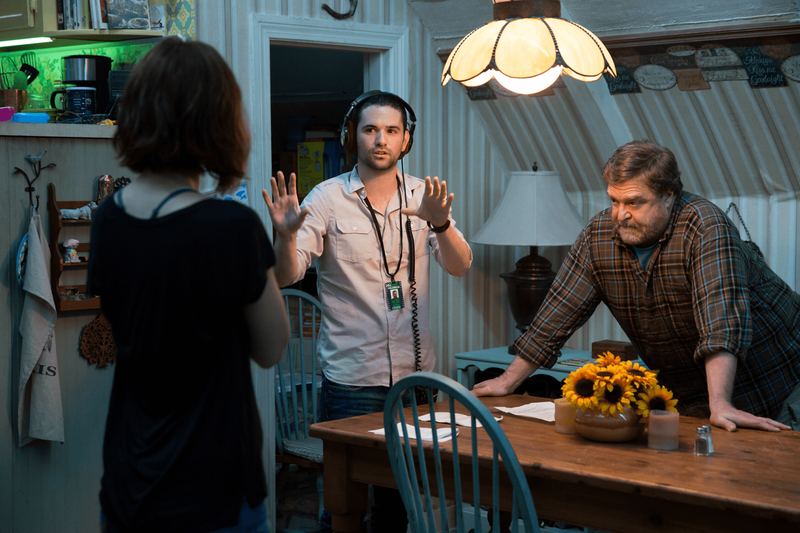 Though he was at a distance from Trachtenberg during production on 10 Cloverfield Lane (Star Wars: The Force Awakens kept Abrams busy), Trachtenberg was in regular contact with his producer. 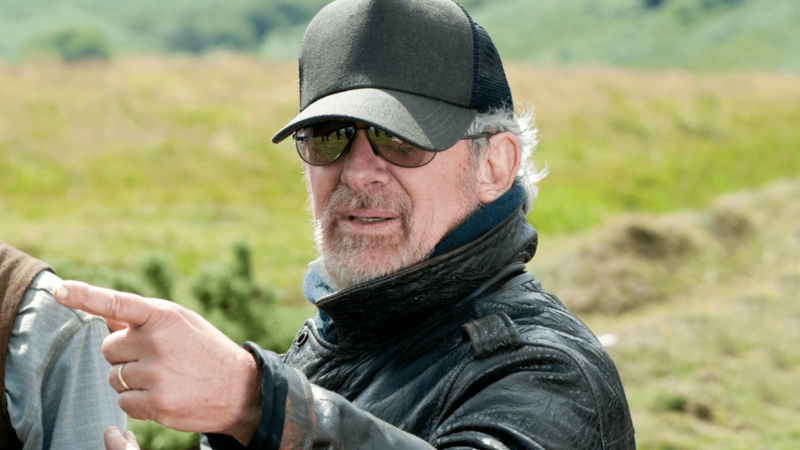 One film the Cloverfield team – particularly Abrams – kept looping back to for reference was The Hitcher. A nutjob Rutger Hauer stalked C Thomas Howell across the US in the 80s horror. DNA from a little-seen Kurt Russell gem is also part of Trachtenberg’s film. Get talking to Trachtenberg on movies and one thing becomes clear: he worships Steven Spielberg. And lives by the great filmmaker’s on-set advice. “Spielberg said wear comfortable shoes. My mum told me that as a kid and since then I do that,” he says. Trachtenberg took that approach with his directorial debut, dropping the audience right in with Mary Elizabeth Winstead as she’s held captive by John Goodman’s crazed survivalist. The results paid off – 10 Cloverfield Lane is a must-see. 10 Cloverfield Lane opens in cinemas on March 19.